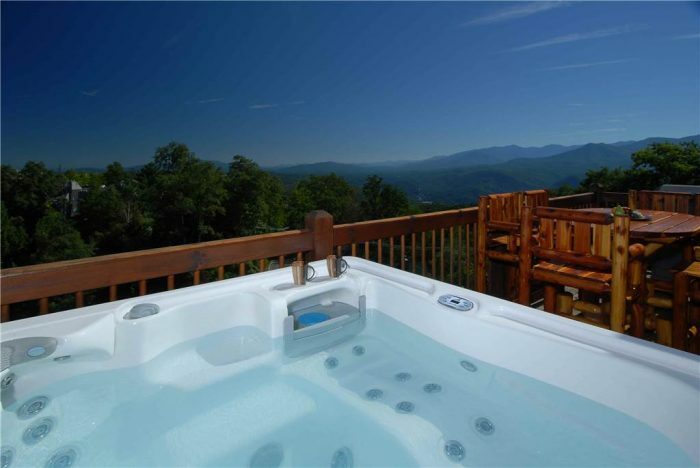 Get away to "View Topia Falls" in beautiful Gatlinburg, TN! 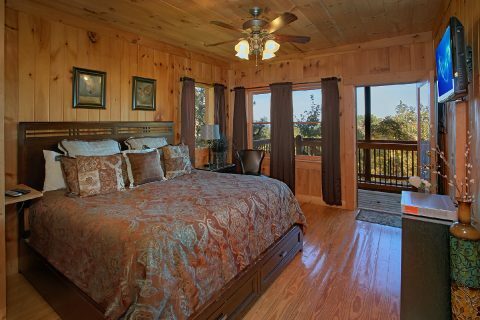 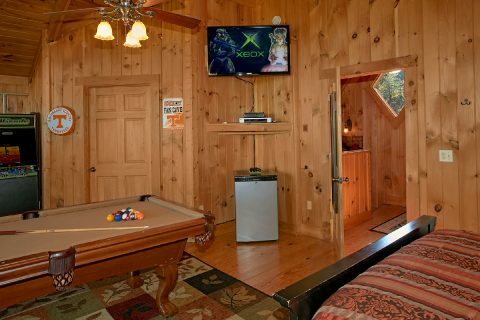 This premium resort cabin in the Smokies is one of our Gatlinburg cabins with a private indoor swimming pool. 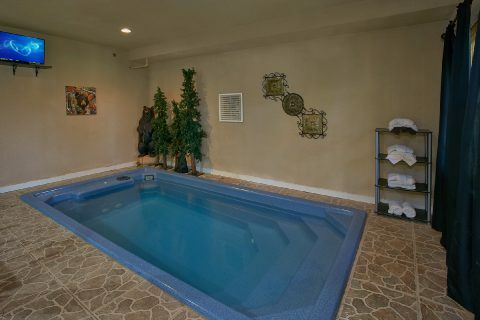 As a result, you can enjoy going for a relaxing swim on your Gatlinburg vacation no matter what time of year you visit! 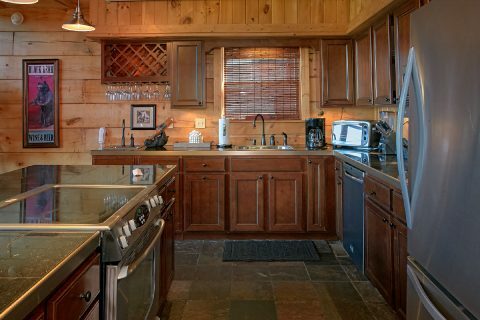 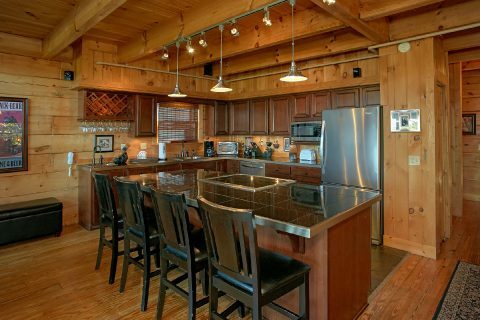 Better yet, this cabin's location and other amenities make this luxury cabin a wonderful launching pad for your Smoky Mountain vacation! 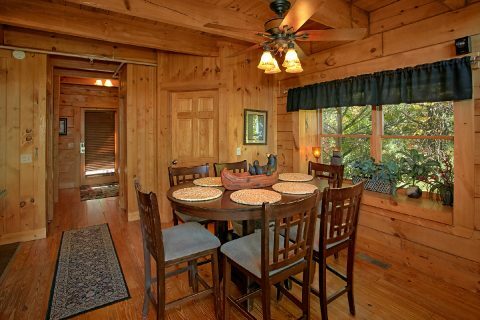 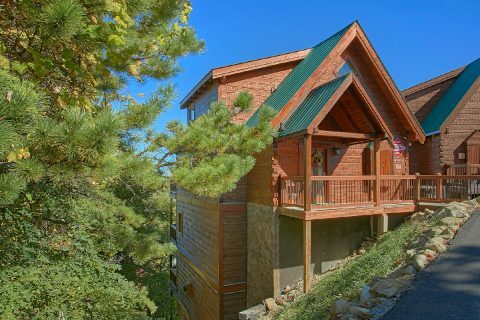 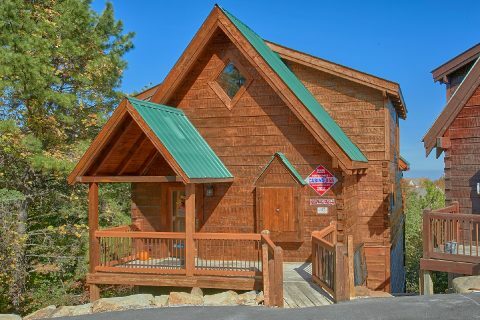 From its mountain-top location in Smoky Mountain Village, this cabin rental rests less than 4 miles from the heart of Downtown Gatlinburg. 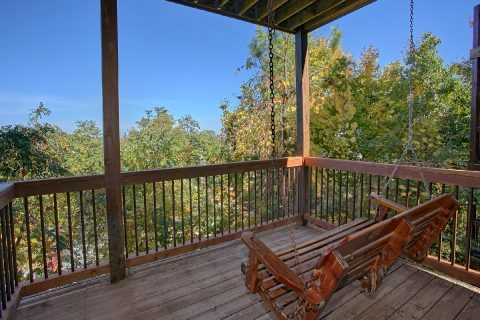 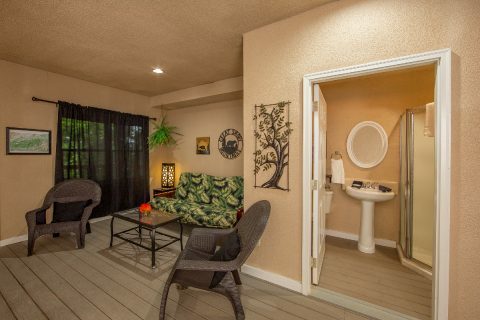 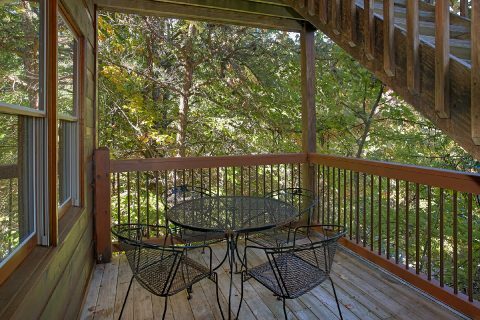 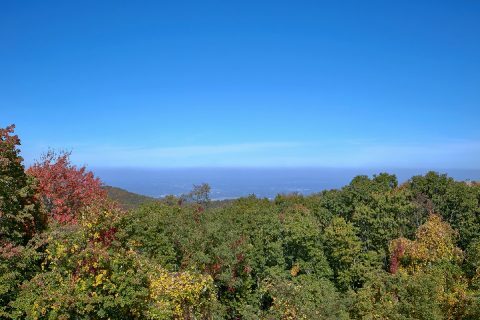 As a result, guests of this rental can enjoy quick access to fun attractions like Ripley's Aquarium of the Smokies, exciting outdoor adventures like zip-lining, or unique cultural treasures like the Gatlinburg Arts & Crafts district in the Glades. 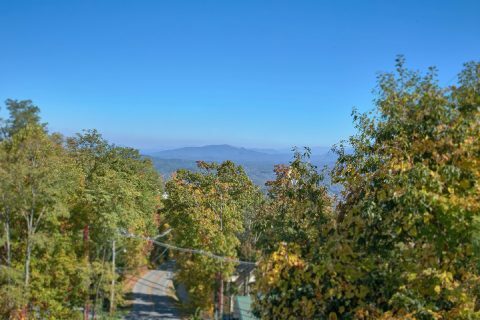 Additionally, other top destinations like Ober Gatlinburg Ski Mountain and the Great Smoky Mountains National Park are only a short drive away! 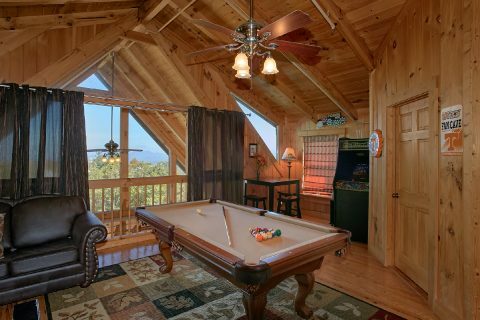 When you aren't busy getting the most out of your Smoky Mountains vacation, you'll love resting, relaxing, and playing at your cabin in the mountains. Sit out in the hot tub on your cabin's deck with a gorgeous mountain view as your backdrop. 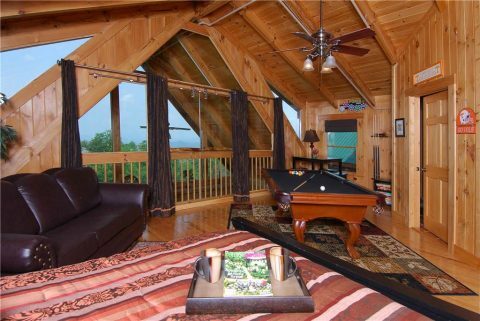 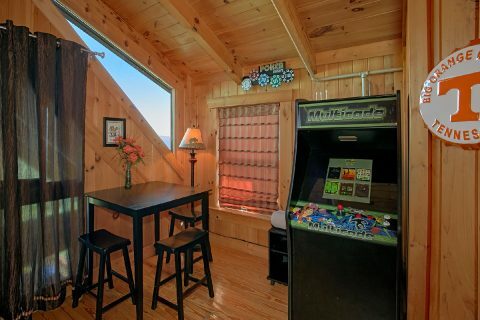 Play a game of billiards in the upstairs loft or play foosball for some friendly competition. 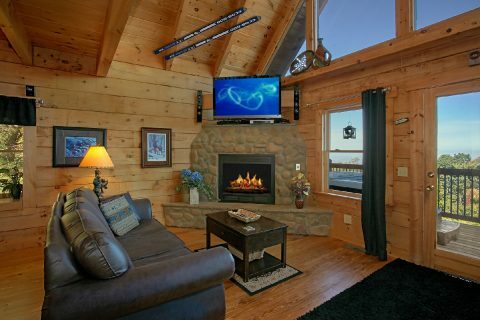 Relax in the living room with a gas fireplace and flat-screen television above the mantel. 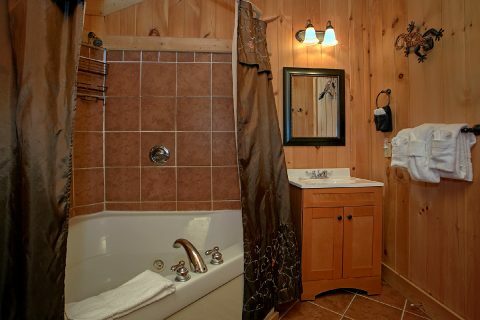 Or you can unwind in private in this cabin's jacuzzi tub. 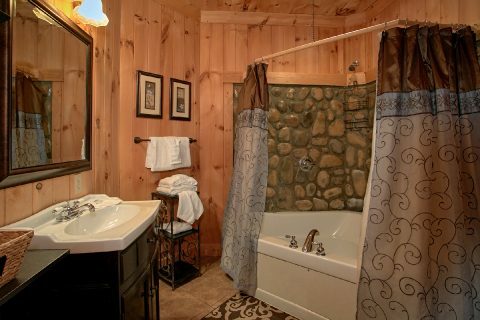 Last, but not least, the whole family will love splashing in your cabin's private indoor pool in the lower level of the cabin. 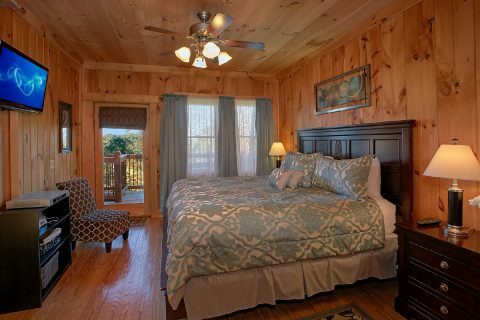 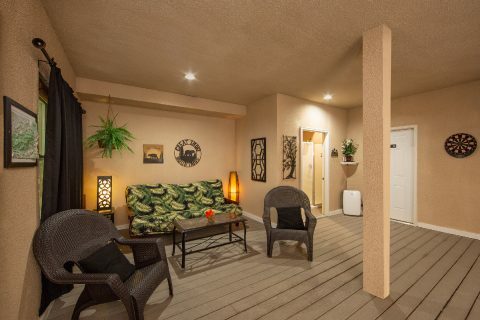 With 3-bedrooms and room for up to 12 guests, this rental is the perfect size for a fun family vacation or a relaxing getaway with a good group of friends. 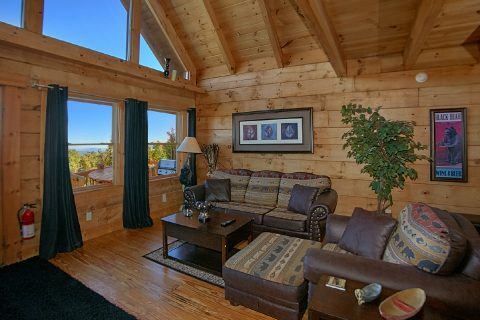 A sleeper sofa in the upstairs loft and a sleeper sofa in the living room provide space for extra guests. 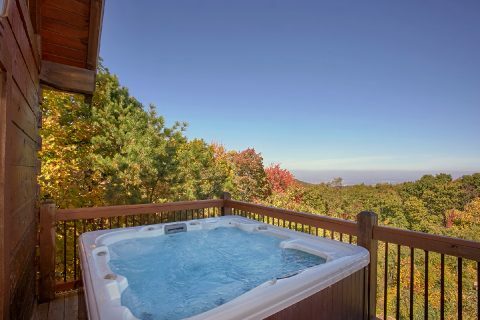 Be sure to reserve "View Topia Falls" online with Cabins USA Gatlinburg to save 15% on your nightly rate!